This forum looks dead yo! Just for fun I tried playing with my GTX670. It normally runs stock because Q6600 would bottleneck it anyway. Heaven was running on the second monitor. Re: Anyone here still overclocking? I'm on stock 24/7. I only do quick OC when hardware is new, just wanna know the capability. My 2500K has been running overclocked to 4.2 Ghz @1.28v stable for about 2 years now. The PC feels sluggish on stock clocks. I've only experimented with overclocking some of the graphics cards I've owned but just ended up keeping them stock because the modest performance gains I got weren't really worth the power consumption/heat/noise penalties. me too 2 years nang naka oc tong 2500k ko @4.3ghz. temperature at load is ok, using an antec kuhler 620. Unless you're going for extreme OCs your hardware will likely be long outdated before a moderate clock bump will cause any damage. 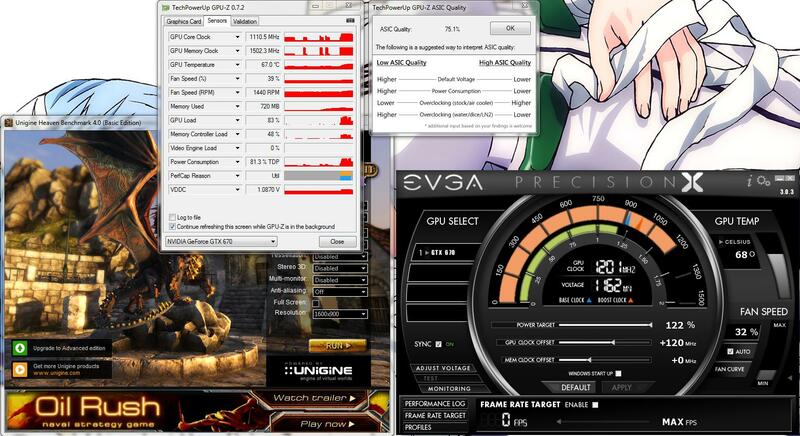 Overclocking nets me nearly nothing in real gaming performance. I do see gains in rendering my YT videos though. I don't do heavy games on the PC anymore, and I also use my home PC for work. I once re-processed some data on my OCed PC and when I made plots, the results were slightly different from those I made earlier. Running at stock speeds gave a more consistent result. So not no, I don't OC anymore as I need reliability. Interesting input. What plots were those for? What's the cpu and overclock? The main reason I buy overclocking hardware is to run them at stock clocks at much lower voltage to lessen the heat in my room. I started doing this since El Nino has started taking place regularly, and has been my routine ever since. What gave me the idea was when I upgraded my crt monitor into led, I noticed less heat in my room. What did you use for stability testing? If you were getting different results oc vs non oc that definitely wasnt a "stable" oc. It was stable (for me anyway), it wasn't even an aggressive OC just using the Asus auto-OC at the BIOS-level (a mere +350MHz on the stock Conroe CPU, in winter mind you). Used the gamut of stress-tests, checked out fine, no restarts, no hang-ups. I was re-processing some of my thesis data, code ran fine, but when I made my plots, there were artifacts (very, very small, but might be serious to some people) that were not there when I ran them on the university computers. For games it may not be that important, but for research work, I have to be sure of the numbers I generate, so I'd rather run stock. Besides I find computers these days fast enough for what I want to do. Now, I'm curious. Can you share them with us? ^I don't have them anymore. The OC probably wasn't stable. Stress tests like Prime95 checks for errors too and these pop up if stress testing is done long enough. I recall that my 2500K@4.2Ghz used to be stable to 1.24vcore offset for the first 8 months then I re-tested everything the following summer and I started getting errors in prime95 past the 4 hour mark. 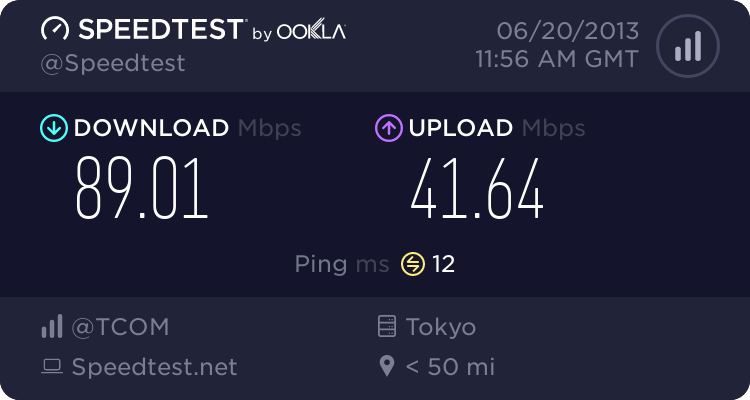 I bumped up the vcore to 1.28 and everything's been fine ever since. I wonder if that was just due to the processor "breaking-in" or has actually deteriorated. Prime95 blend test for at least 8 hours (sometimes 24-hours when there's time) and Intel Burn test for at least 20 runs. No errors, no crashes, no lockups and its good to go. The thing is about overclocking is that its a hassle and time consuming to get it working right with all the tweaks and testing so I can understand why others aren't so inclined to it. Still, I guess I wouldn't overclock if I needed to do some work that required absolute reliability for piece of mind. Still, I guess I wouldn't overclock if I needed to do some work that required absolute reliability for piece of mind. Unless you're beating a deadline to submit a video or graphic works. Too bad. I'm seriously keen on knowing more what has gone wrong for any flaw that may have previously went unexposed. Definitely wasn't stable if some results drifted. Might have been stable enough not to crash any games, but it might have been causing bit-walk in the memory, which is why I'm curious what lahar was using to test his OC. IBT (LinX) to test core-logic stability, Prime95 with large FFTs for the L3 cache / IMC, which might be causing those small errors. HCI memtest to test RAM and finally OCCT with error checking (artifact detection) for the GPU. But he did mention +350MHz only. Any Conroe should be able to handle that low OC. Anyway, I'm guessing the motherboard was a matx and that the chipset has the cpu, ram and pci-e bus all linked together. I experienced that with Asrock Conroe1333 (forgot the exact model), any bus speed higher than 335 will result in unstable system. My last computer was overclocked for 6 straight years. i'm so advance that i need to underclocked my cpu.